Happy Friday - This is one meal that you can do up or leave as is simply and fill everyone up. Best part, it is SUPER easy to get onto the table fast. 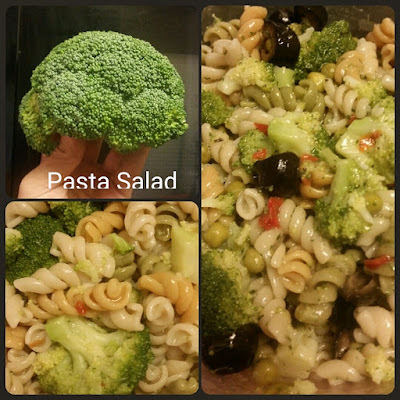 Boil your favorite pasta any shape any size, shapes and or colors too! * grab your most favorite dressing or make your own! I used Greek and Italian dressings on this one but I have also used a mayo mix, a fresh lemon and garlic mix and many more. Get creative! ! Best part - my kiddo helped me make it! Happy fast and tasty pasta creating!